Hey Wiisass, I've got a question for you. Or anyone who'd be willing to help me understand suspension/steering set-up a little more. I've been lurking around ziptied & a little bit here but still don't really know enough to answer it myself. Here's my dilemma. I'm on the search for more steering angle, and better clearance on my AE86. My current set up is a manual rack, power knuckles (more angle & quicker response than manual knuckles) NCRCA's, T3 tension rods, and whiteline adjustable sway bars. I had RCA's before but switched to NCRCA's to space the front strut out 25mm to gain clearance for my brake caliper hitting against the sway bar at full lock (which really sucked because it'd compress the pistons into the caliper and I'd have no pedal after drifting) And come to think of it the inside of the rim & tire were also hitting the sway bar before the NCRCA's. At this point with the NCRCA's it's enough for the calipers/rims/tires to clear the swaybar but I want to add inner tie rod spacers, up to 10-15mm additional rack travel. And that may be too much extra with my current setup and I don't want to run into the same problem with compressing my brake calipers. 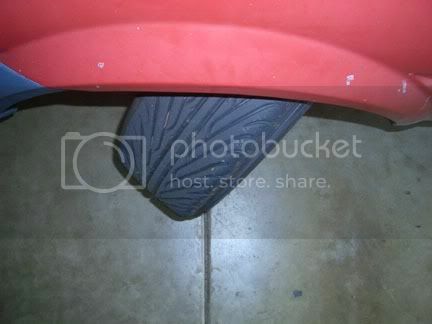 Also when approaching lock the NCRCA's actually reposition inside and outside tires 25mm/1" in opposite directions in the arc/path that the suspension turns pushing the outside tire towards the front of the vehicle and the inside wheel against the footwell. The same thing lower offset rims will do, but I'm still turning/swinging the caliper/wheel/rim back in close to the sway bar. 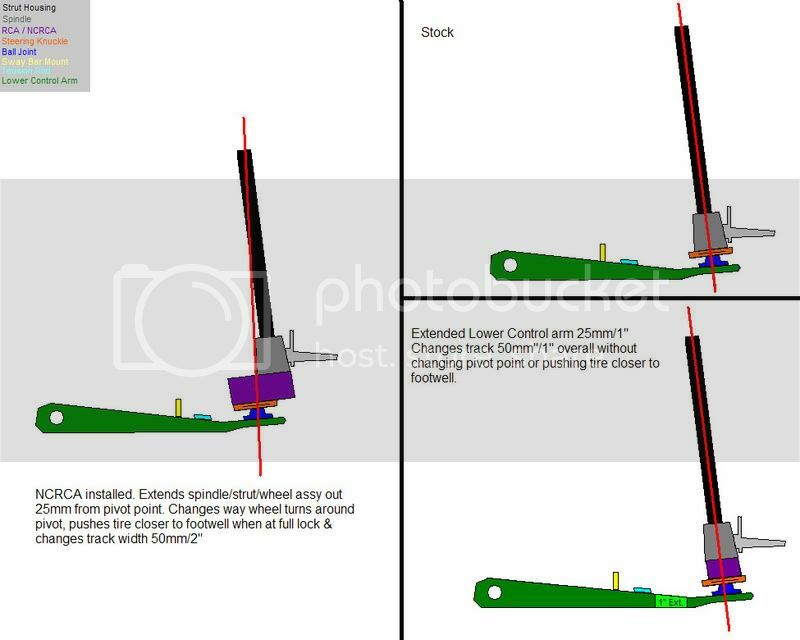 I think a 'better' setup to correct this & run more angle is to run an adjustable or extended lower control arm by 25mm/1" & RCA's - instead of NCRCA's which brings the track almost back to stock at full lock. I think by running longer LCA's and RCA's I'll get the following advantages. 1. Clearance for the caliper/swaybar. 2. Clearance for larger or more offset rims and more footwell clearance when turned - or at the very least just more room to pull caster back. 3. Better (or more consistent) aligment/geometry when turning/cornering/drifting. 4. 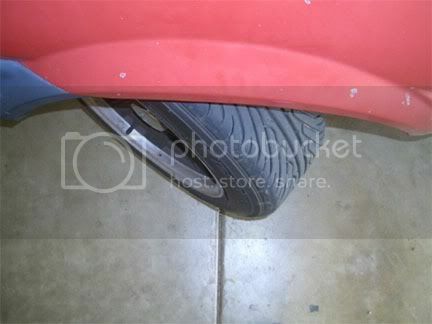 The ability to run more angle without scrubbing the inner fender well or sway bar. Thoughts? Did I make any sense to you at all? Alright, I've been thinking about this a little and I really don't have much experience with corolla suspensions just yet. But in terms of your clearance issues, spacing it out with NCRCAs helped because you moved the strut and brake and wheel assemblies outward. If you go back to a RCA and then use an adjustable LCA you're still going to have clearance issues. The adjustability in the length of the LCA will be on the inboard pivot in most cases, you instead of just moving the strut, wheel and brake stuff out, you will also be moving the sway bar point out as well, so there will be no increase in clearance. Could it be a problem with the whiteline design? This was posted by trouble on ziptied. The stock sway bar design looks like it has a different path to it than the whiteline. The whiteline looks to travel more parallel to the centerline of the car for a little, while the stock has a greater slope. I'm just wondering how other people have done it and how they have accounted for problems like this. And there seems to be a lot of different setups to be considered with these AE86's, just a lot of different variables. So I don't know if this helps at all or not. I hope it does or at least helps you with one aspect of this. So I would suggest, figuring out the clearance issue and what's more important to you. 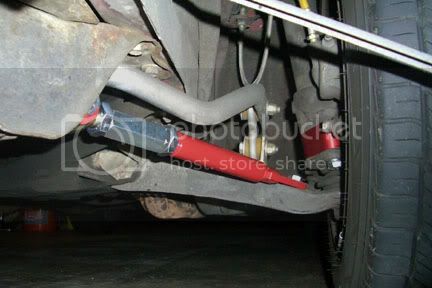 If you have to run a stock sway bar instead of the whiteline but get more steering angle, is that better than keeping the whiteline and having less angle? Making decisions on things like that will help out a lot. Oh and I'm guessing this is happening on both sides? 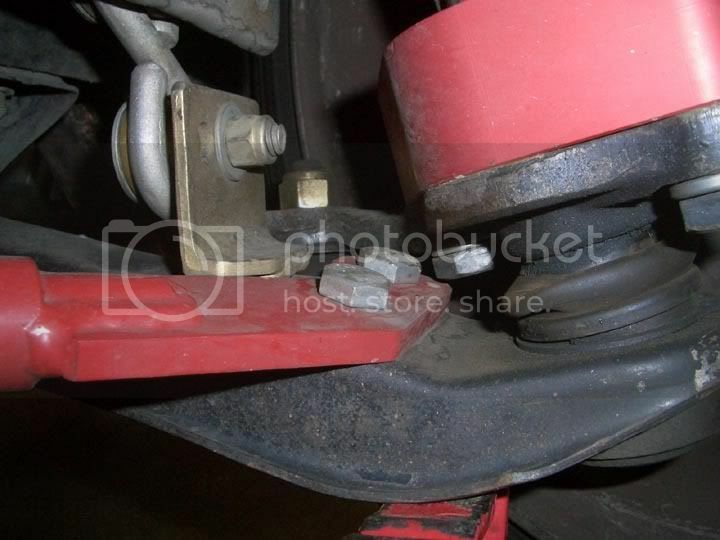 If not, it could be something as simple as your sway bar isn't centered. The stock sway bar design looks like it has a different path to it than the whiteline. The whiteline looks to travel more parallel to the centerline of the car for a little, while the stock has a greater slope. Well, as to the clearance issue. I know I can gain the clearance necessary by using an extended LCA. It will have holes redrilled inward to account for the lengthening, so it would only move the pivot, strut & brake stuff. It would do the exact same thing as an NCRCA, but with a smaller turning radius? I've shot an email off to alex/battleversion and he says extending the LCA or running an NCRCA does the same basic thing - change the kingpin inclination which is why it helps. He says he doesn't have a preference of one over the other, but that an extended LCA feels 'tighter' to him. My only real question was whether have a longer control arm and a smaller 'scrub radius' (is that the right term?) or a shorter arm and greater radius would be better in the end. But I'm thinking now it all comes down to personal preference. Here's a few more pics, I was under the car this weekend just taking a look around to see if I could come up with any ideas. All were taken at full lock, but since it was on jackstands on the front only it doesn't quite have all the weight over it it normally would. I now see what you're saying about the LCA. 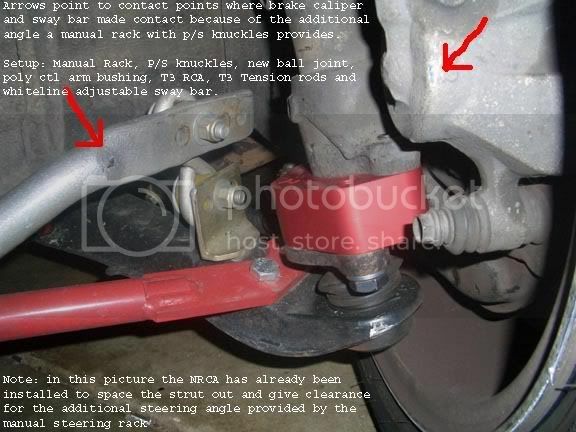 I didn't realize you were going to be relocating the TC rod and sway bar mounting holes in relation to the ball joint. Now about what Alex said. There is a difference in what a NCRCA will do versus an adjustable LCA plus RCA. 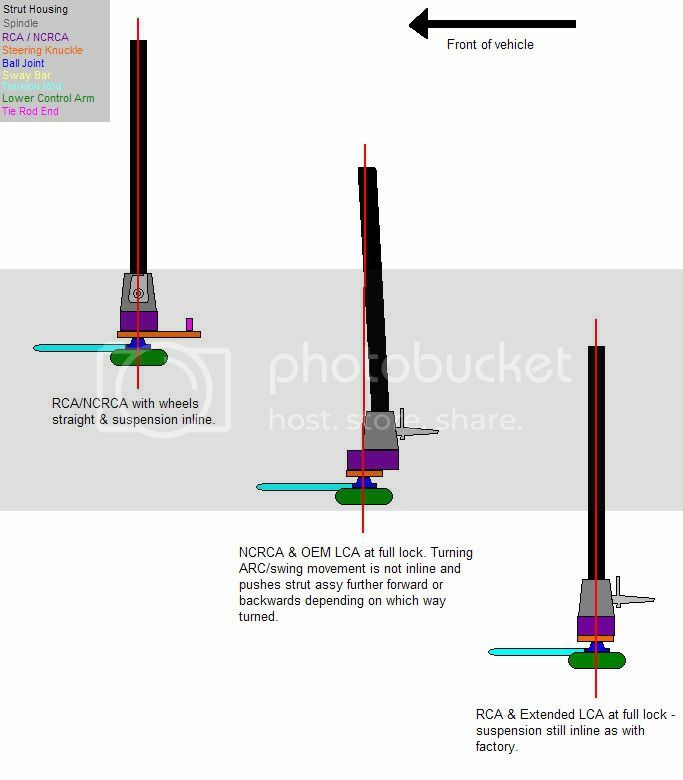 Assuming both the NCRCA and the RCA are the same height, the roll center affects will be minimal. I'm also assuming that the strut angle will be the same. But with the NCRCA the kingpin angle will remain as stock because the kingpin angle is defined by the line connecting the upper ball joint (upper strut mount) and the lower ball joint. The lower ball joint will remain in the same location with the NCRCA but with the adjustable LCA it will move outward giving you a greater kingpin angle. I don't know how much it will change, but you should know that a larger kingpin angle will give you more positive camber gain on the outside wheel with more steering angle. So an increase in static camber or an increase in caster, which has the opposite effect of kingpin angle in this regard, may be a necessary change when you're dialing in the suspension. About removing the whiteline and possibly running stiffer springs, what dampers are you running? The dampers play the most important role when it comes to ride quality. So you could go a little stiffer on the springs with a stock sway bar and run decent dampers and it will be just as driveable everyday as it was before. Personally, I'm not a fan of overly stiff sway bars with softer springs but that is with respect to designing race car suspensions. For a street car it's more acceptable, but i still think you could get away with stiffer springs and less bar. But then again that is up to you. And of course you could wait until I find the time to develop something for the corolla. In terms of scrub radius, for a RWD car, it's not a huge issue. A larger scrub radius will mainly be felt under braking on rougher roads. And the scrub radius will depend on what wheel size and offset you will be running. I think that as long as it's not huge it will be alright. I wish I could quantify "huge" but at this point, I haven't done enough with the corolla suspension to feel comfortable giving a number. If I were to make a recommendation right now, I would have to lean towards the adjustable LCA. 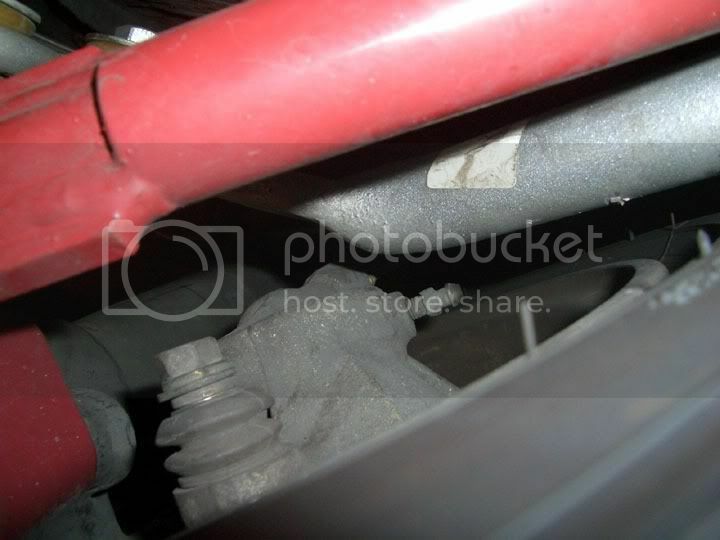 It will solve your clearance issues with the relocated TC rod and sway bar mounts. And as long as you account for the increased kingpin angle, everything should be fine. I just realized something about the NCRCA. While it lowers the LCA angle it also increases the strut angle, so I would guess that it's not doing as much for your roll center correction as just an RCA would. I guess that's something to think about or discuss at another time. Currently I'm running KYB AGX adjustables. But they are not what I'd call good dampers, just enought to get me by on the cheap. There are a LOT of guys who recommend against running Koni's in the rear. All of the guys that have tried to say they provide too much 'grip'. But that was running the Koni's listed for the car which aren't externally adjustable, but need to be removed to adjust by compressing and spinning. 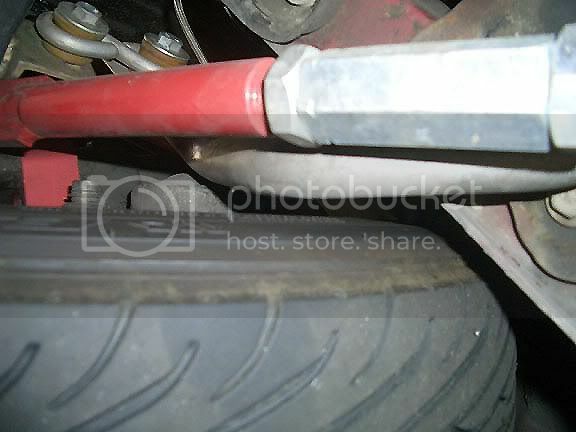 I think that really good dampers with the right springs/sways/suspension and tires would be way better than dampers that allow a little more loss of grip once sideways. Although, the only real way to know would be to try it. The koni dampers sound promising. I was actually talking to them today about some possibilities and it sounds like it could be something that would work pretty well for the corolla. I need to do some measurements and get some weights but then i will be putting something together for the corolla. I just need to figure out the best valving for them and how to get the rears to work out. Hopefully I'll be able to start on this in the next week or so depending on how busy I am with the other parts. I'm not really sure what to say about people complaining that the koni's provide too much grip. That shouldn't be a bad thing, even with drifting. Are these people complaining that the dampers work too well. If they're having trouble sliding the car with these dampers, adjustability would help, but they should also look into making some spring or bar changes to adjust the over/understeer balance of the car. But I agree with you, a good suspension setup will make the car much more controllable for anything whether it be drifting or road racing. Here's a more visual look at the corolla susp, not too nice to look at, but I had a few spare minutes playing with MSPaint.